Measuring Exhaust Gas Temperatures (EGTs) and other things not well suited to RTD type automotive sensors just got easier. This is a thermocouple amplifier and signal conditioner, which allows you to measure from 0 to 1800F with anything that accepts a 5V signal. 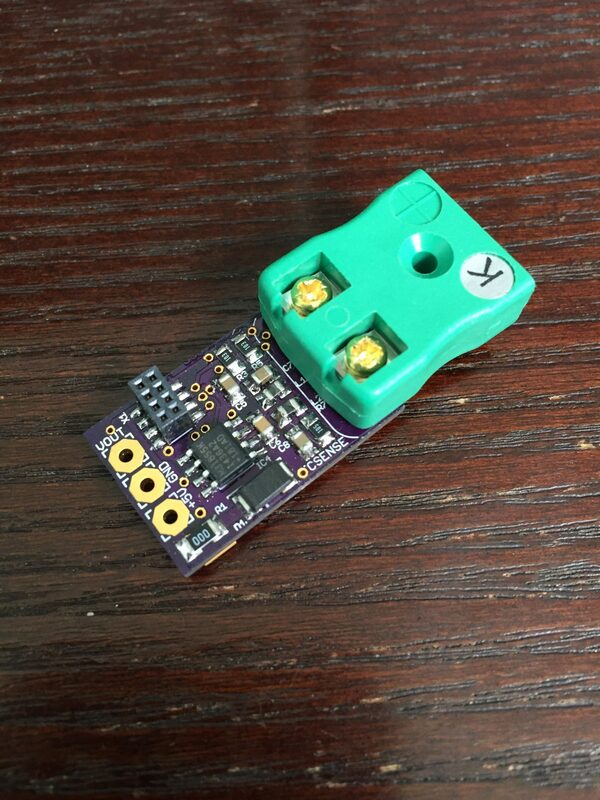 This uses a special amplifier and microcontroller onboard to measure the signal from any standard K-Type thermocouple and outputs a 0.5 to 4.5V signal corresponding to the input temperature. It’s perfect for EGTs, turbo air temp sensors and fluid temperatures like oil or ATF. 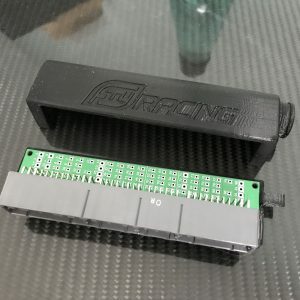 The output from the amplifier can be connected to an open analog input on your data acquisition system, standalone ECU or even some modified factory ECUs. Please read the product description for more information! 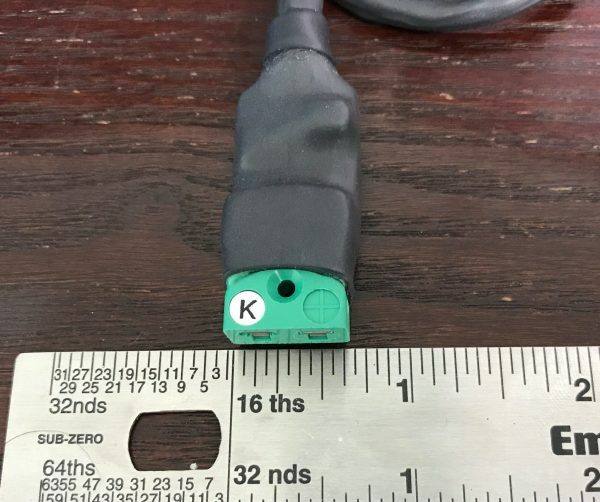 We made the smallest K-type thermocouple signal conditioner on the automotive market! 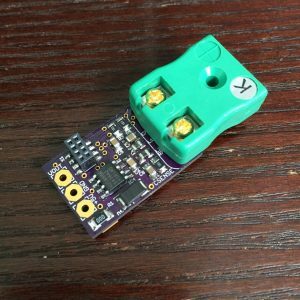 This is a completely custom design based on a digital k-type thermocouple amplifier with cold junction compensation connected to an onboard microcontroller to process and output an accurate signal to anything that accepts a 5V sensor input. 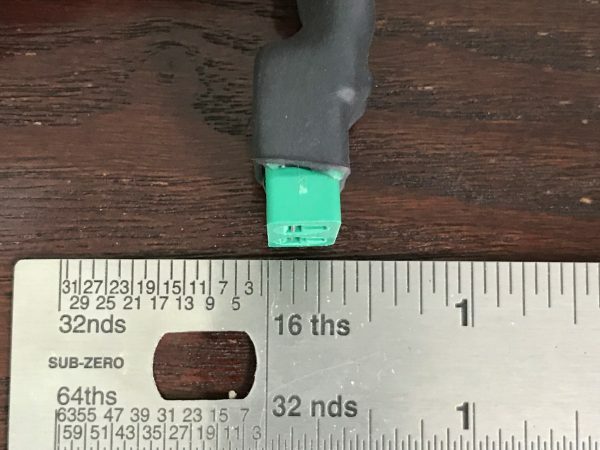 It responds quickly, too, with a 20ms response time, which is faster than the physical k-type thermocouple you would connect to this. The amplifier is accurate to within 3.6 degrees Fahrenheit under 1292F and 7.2 degrees Fahrenheit from 1293F upwards. This thermocouple conditioner will output an analog 0-5V signal in relation to a temperature sensed from any standard k-type thermocouple. 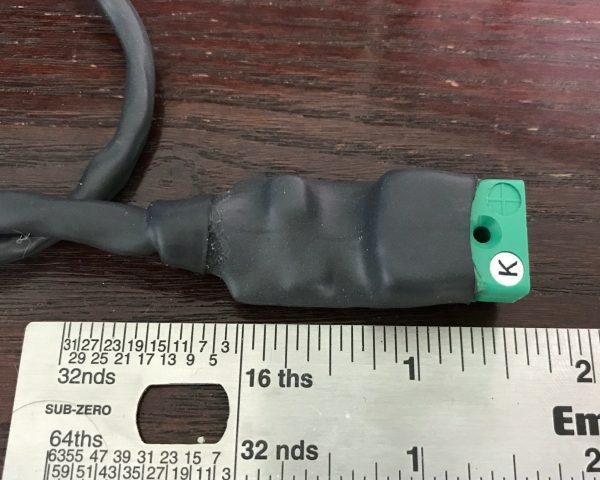 We personally use this version for exhaust gas temps (EGTs), but it can be used for anything hot when connected to a k-type thermocouple capable of withstanding the heat you’re subjecting it to. 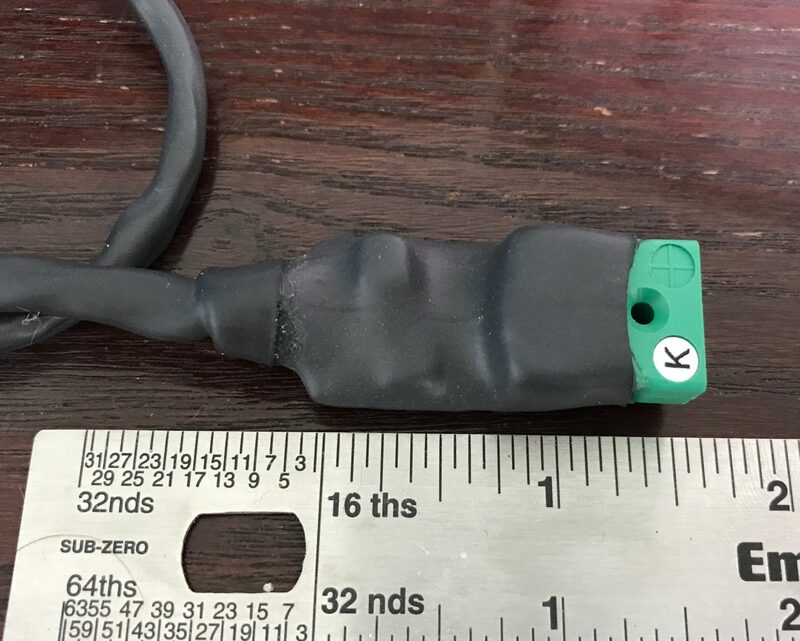 This thermocouple amplifier comes with 9″ wire leads along with polyolefin (heat shrink) covering the wires and the amplifier itself. 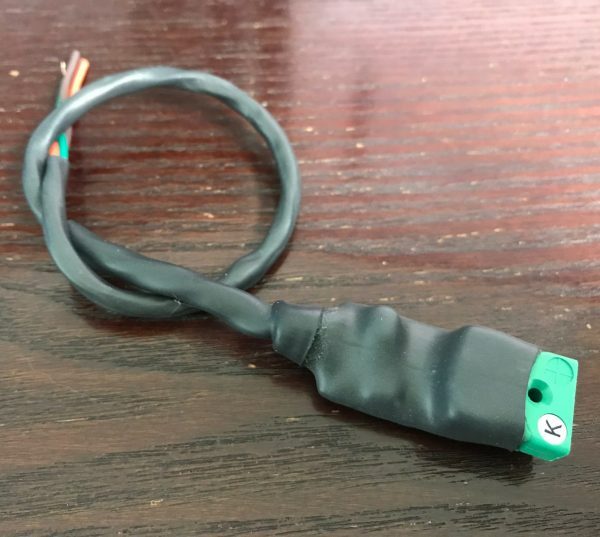 All you need is a K-type thermocouple (sold separately) and an available 5V ECU or datalogger input to wire this sensor up to in order to start measuring temperatures. This version of the amplifier has the same temperature range (0-1800F) and outputs the same voltage range (.5V to 4.5V) as a popular gauge-type thermocouple available from other companies. This allows you to use this in conjunction with those more expensive gauges, or to connect directly to your ECU or datalogger in order to log the same temperatures at the same voltages. 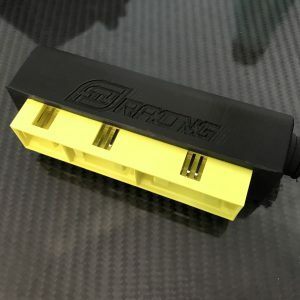 This is a product developed here by FTY for our own race car, so we’re able to offer custom input and output ranges for those of you who may have specific needs. Please contact us before purchasing with your requirements.